Printed on NCR A4 paper and card with black ink. Space is provided for the good cause that you are raising monies for to be written in. 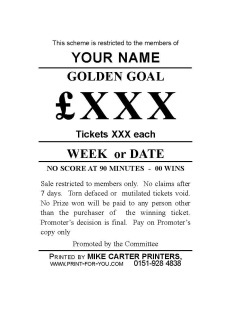 A Box for the Stake and Prize is also provided. 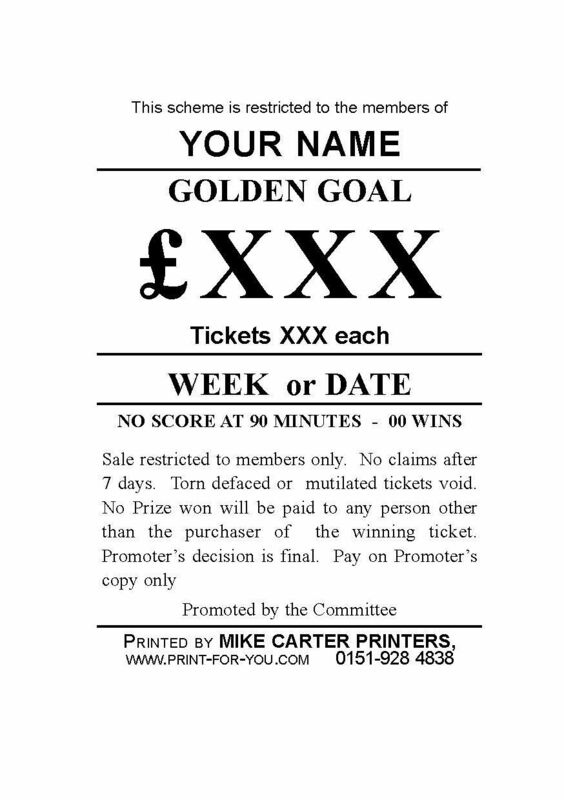 People pay for a space/number - spaces that are sold for a fixed price, normally £1 or £2, once all the spaces are taken you wait until the match takes place and take the winning time from an agreed source. The prize is then given out and the remainder is given to the good cause. Prize size is a fine balancing act of raising enough money for the good cause and having enough of a prize to tempt people to part with their money. 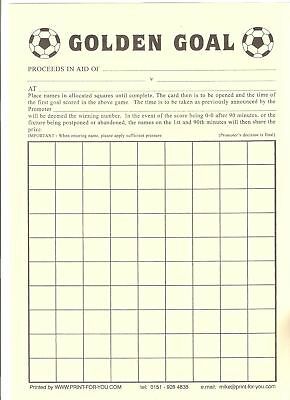 Number squares are blank on the top copy and once all the spaces are sold you can open up to reveal the card that has the numbers printed on it - If score is 0-0 or postponed or abandoned then the prize is split between the 1st and 90th minute.